Innovative eLearning development featuring creative Instructional Design can be used to make learning sticky. 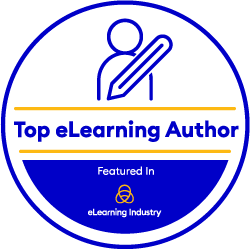 Watch this video for tips and the leading 5 innovative elearning development strategies that include Gamification, Interactive videos, Decision making branching simulations, Story based learning and Scenario based learning and step up your learnability quotient. EI Design brings in 14 years of expertise servicing customers across 16 countries catering to their varied eLearning needs. They have delivered more than 6500 hours of content (of which over 1000 hours is for mobile learning). They also have a strong expertise in localising content in 26 global languages.